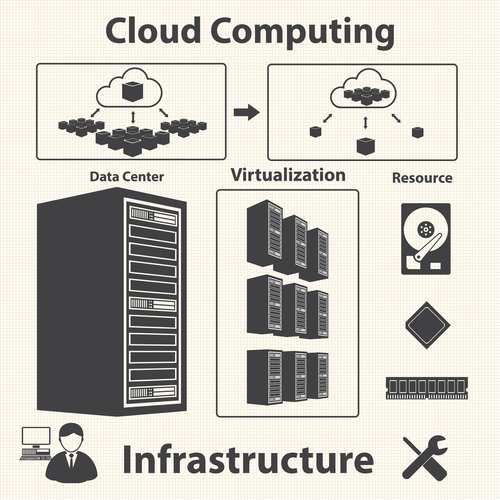 What is the best solution when selecting either virtualization or cloud computing? I often hear people discuss going to the cloud as a means of saving money, being nimble for their customers, having independence from their IT infrastructure team, or just to fit in because everyone is going to the cloud. Also, most people get confused about virtualization and cloud computing. Some people think virtualization is cloud computing. Perhaps some people understand the differences, but the vast majority of individuals are still confused. Virtualization is the construction of a virtual machine rather than a physical system. This refers to the process of running more than one system on physical hardware that takes the features of hardware platform such as storage, network, and memory and makes the resources available to a virtual machine through hypervisor software. In comparison, cloud computing is the provision of computing as a service relative to a product. The computing resources (such as storage, memory, CPU, and network) are charged based on what you use (pay as you use). Virtualization is one of the underlying processes in building a cloud environment. Are you going to run high an I/O intensive application such as database? Determine whether or not you are going to use lots of memory, storage, and network bandwidth for your applications. You need to know which applications require lots of computing power. There are other factors to consider, but these are some of the most important factors to bear in mind when choosing either virtualization or cloud for your application. Additionally, when choosing cloud computing, you have to consider the total cost of running your servers/applications in the cloud compared to physical hardware or virtualization. Even though some cloud providers offer all the required computing resources, you will end up paying for the resources you use. To understand the costs of running your applications in the cloud, I think you should calculate the total cost of monthly operations. Most cloud providers have an online TCO (Total Cost of Operation) calculator that will give you an idea of how much it will cost to run your application each month.